I am a global sustainability expert and strategic advisor providing board direction and assistance to companies all over the world to create alternative futures that are sustainable in the long-term. I am based in Singapore but also practice in Australia, Europe, Canada and the USA as an international sustainability expert. Singapore is a wonderful hub, a gateway to the Asia Pacific basin and beyond. Asia is in its economic and technological ascendance. It is a region leading from the front and is superbly well-placed to lead an entire age in sustainability by developing thought leadership and world-class sustainability programs. It serves as a beacon of best practice for the rest of the world. Malaysia, Indonesia and China all look to Singapore to provide high-level strategic leadership. In addition, the safe and stable banking and corporate laws make Singapore a good place for companies to place themselves. To provide leadership and global expertise to the developing market as a part of the sustainability sector. I work with clients at a strategic level to co-create alternative futures for their businesses through the design and delivery of world-class sustainability programs. 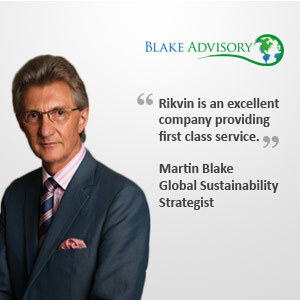 We were recommended to consult Rikvin by Q Bytes Wealth Report. My experience has been very positive. Rikvin is an excellent company providing first class service. I would recommend Rikvin’s services to anyone needing to set up an offshore company or accounts, secure employee permits and residency, or seeking assistance with company and personal taxation.